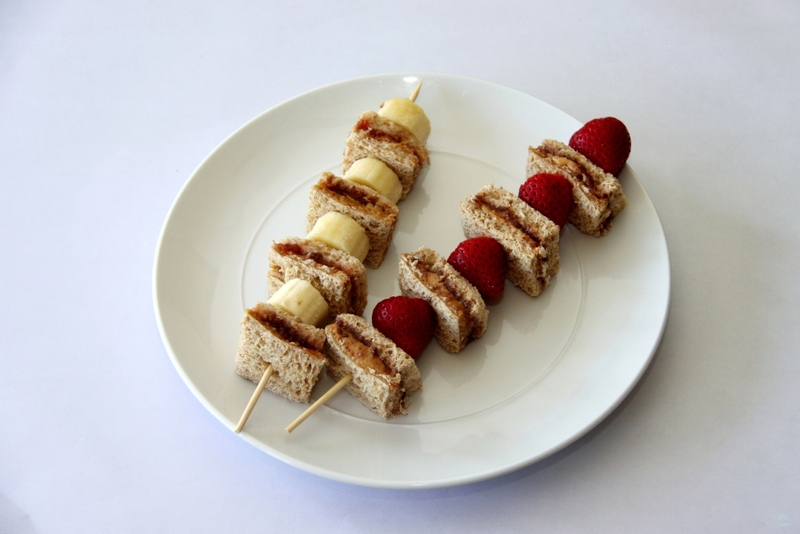 Looking for a way to spice up your kids lunch, or maybe looking for a fun way to serve peanut butter and jelly for a party try these Peanut Butter & Jelly On A Sticks. 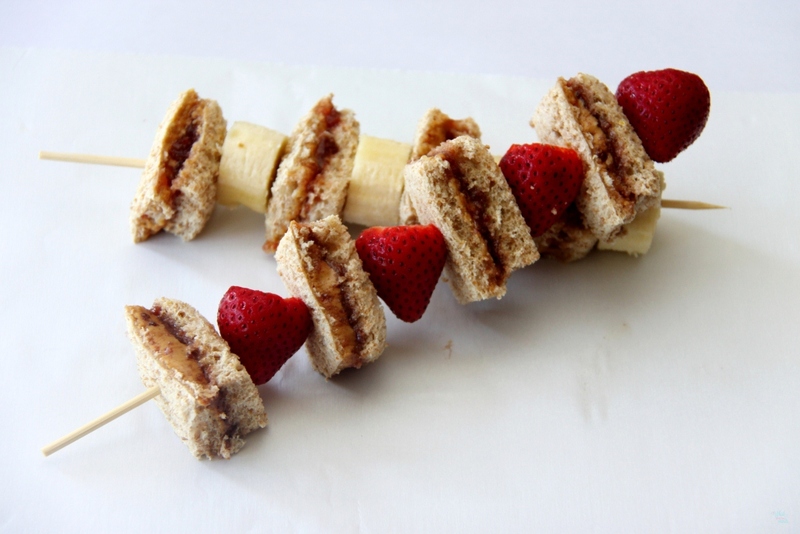 You can use any peanut butter (Peanut Butter & Co has a lot of fun ones!) and jelly combo and mix it with any fruit, the possibilities are endless! Not to mention everything tastes better when it is on a stick! We made peanut butter and strawberry jelly with banana and peanut butter and raspberry jelly with strawberries. 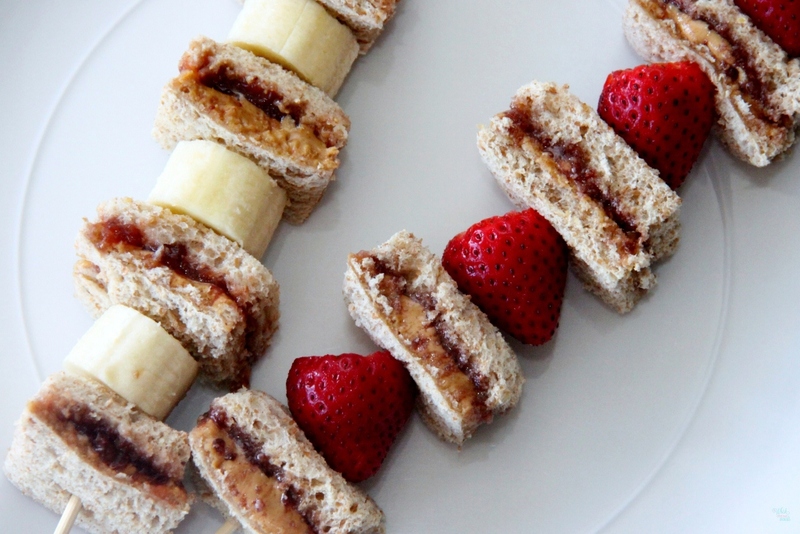 Make your peanut butter and jelly sandwich. Cut off crust and cut sandwich into 4 squares or triangles. 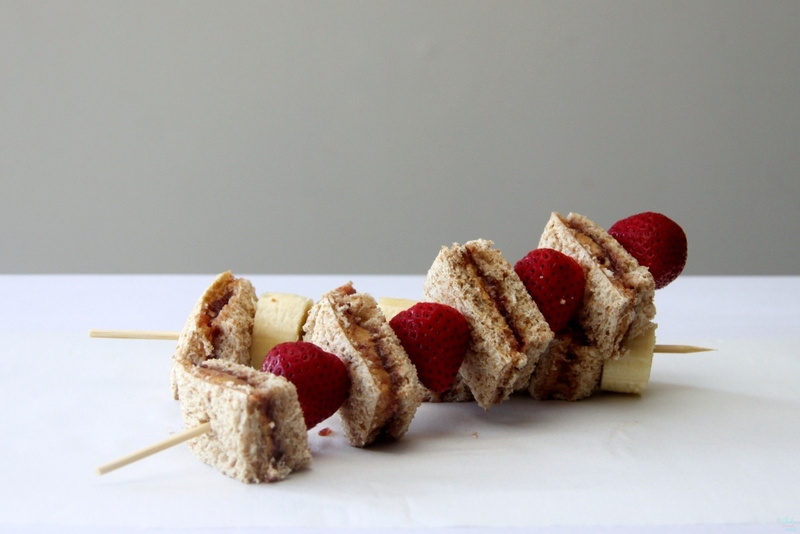 Place one of your sandwich pieces on a wooden skewer and then a piece of fruit, alternating until all sandwich slices and fruit are on your skewer. Enjoy! Picnics: The Portable Vacation | Read. Cook. Devour.